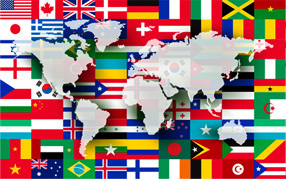 Foreign Language Translation: We offer specialized translation services. Get more information on our foreign language services and sub-services. Document Translation Services: We offer specialized translation services. Get more information on our document translation services and sub-services. Translation Services Articles: Our translation services resources are comprehensive and well-researched. Check out our translation services articles. If a Korean 'Gangnam style' and a Tamil 'Kolaveri Di' can impress people across the world, you can bet there is huge demand for transnational knowledge, entertainment and information sharing. We are here to facilitate that in a big way for you. Outsource2india provides professional video translation services for various multimedia requirements and in all major languages of the world. We provide multi-lingual transcription, translation, voice over and subtitling services for a wide spectrum of video translation requirements. Our team of expert language translators carries an experience of over 5 years (minimum) in providing video translation services. We provide you with the final video output in any format and we can help you with a lot more languages. What Makes Our Video Translation Services Different? As a professional video translation company, we give a great deal of importance to the substance of our work. We are aware that translation also means localization. We insist that each and every video translator at O2I has deep understanding about local dialects, cultural influences and intonations. By maintaining stringent standards, we ensure that your videos are translated and localized in the most efficient way at cost-efficient rates. As a company that provides video translation, we have supported clients across the world with their diverse translation requirements. With our expertise in language translation combined with our technical expertise, we guarantee you high quality translated videos. You can be assured of complete data safety as well as hassle free engagement in outsourcing with us. Write to us to get a quote for your video translation needs, our translation experts will get in touch with you in 24 business hours. We are very much happy with your services, and thank you so much for your assistance. Read well-researched articles on translation for global insights on the importance of translation.